The club runs a little different to others as we don’t really have meetings, the committee meets regularly but as a club we just have monthly functions for people to attend without getting bogged down by details and politics. All financial members can attend committee meetings if they choose and AGM’s are a given and general meetings are called when the need arises. For us, time has shown that it is a good way to run a club. Committee meetings are held on the second Tuesday of each month at 5.30 pm. Venues and times can change so please call a committee member if you would like to submit an agenda item or attend a committee meeting. 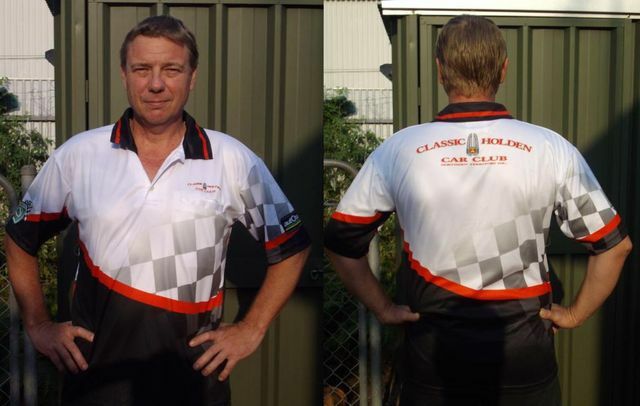 To order, please email info@classicholdencarclubnt.com and include the size and quantity required. Pick up of merchandise from Darwin and surrounds is free. Delivery will incur a fee.